Vacuum on Its own and cleans deep to pick up dirt, hair and debris at the touch of a button. iAdapt™ Responsive Navigation Technology ensures that all of iRobot’s floorcare robots clean thoroughly, including in hard to reach places. 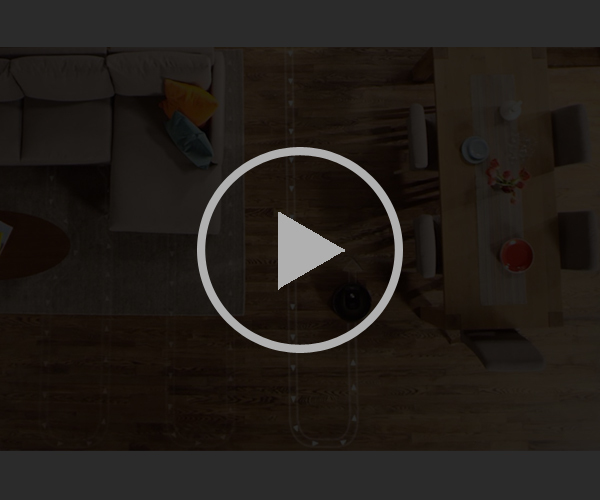 This system of software and sensors allows Roomba to analyze its environment throughout the cleaning cycle and continuously respond with intelligent decisions in order to overcome obstacles and cover the entire floor in multiple passes. Buy iRobot Roomba 776P online in India. Roomba 776p offers you thorough daily cleaning, perfectly suited for homes with pets. Roomba 776p has a patented extractor with brushes that turn in opposite directions, and an effective vacuuming that removes pet hair, cat litter, and other debris from your floors, while the dual high-efficiency filters ensure fresh air in your home without small PARTICLES or allergens. The included Virtual Wall® Halo ™ control Roomba safely around your pet's water and food bowl. Roomba 776p is very easy to use - just press CLEAN, which iRobot iAdapt® navigation technology allows Roomba to find around the room, while it ensures that all areas are cleaned. You can also program the Roomba to clean up to seven times a week. Roomba 776p has series of 2 Dirt Detect ™, which uses the optical and acoustic sensors to focus on areas with a higher concentration of debris in order to ensure that all debris is removed. Roomba 776p comes with a Virtual Wall, which allows you to Roomba to clean, where you want it, and a Virtual Wall Halo, who creates a protection zone as a leader Roomba around your pet's food and water bowl so you do not have to dry food and water off the floor. Pick efficiently large quantities of dirt, dust, hair, and debris from all types of floors. **Roomba runtime remains the same between recharges. Battery lifetime varies with usage and home environment. Use Roomba as directed for longest battery life. I love my Roomba 776P which I purchased in Bangalore. It does it work amazingly and absolutely no complaints about. Good work iRobot. PS - They also provided 2 years warranty.